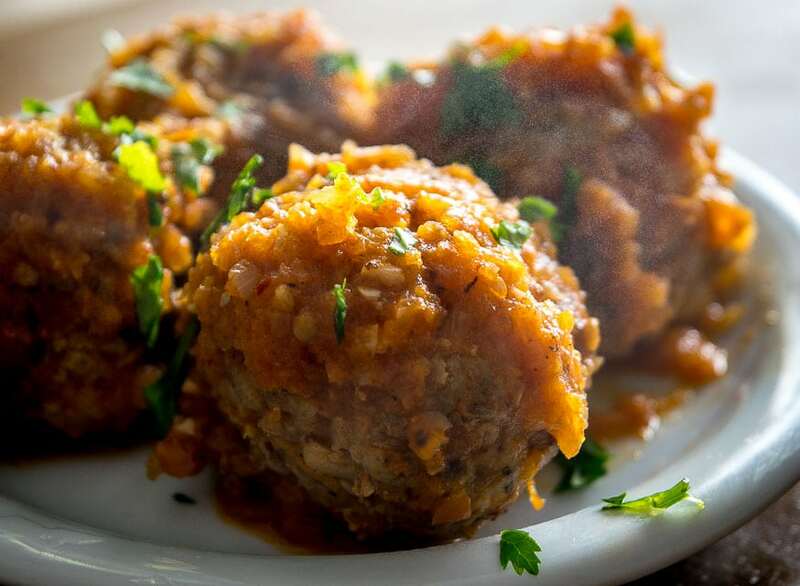 Announce to your family that you’ll be serving Albondigas for dinner and you’re guaranteed to get some concerned looks. 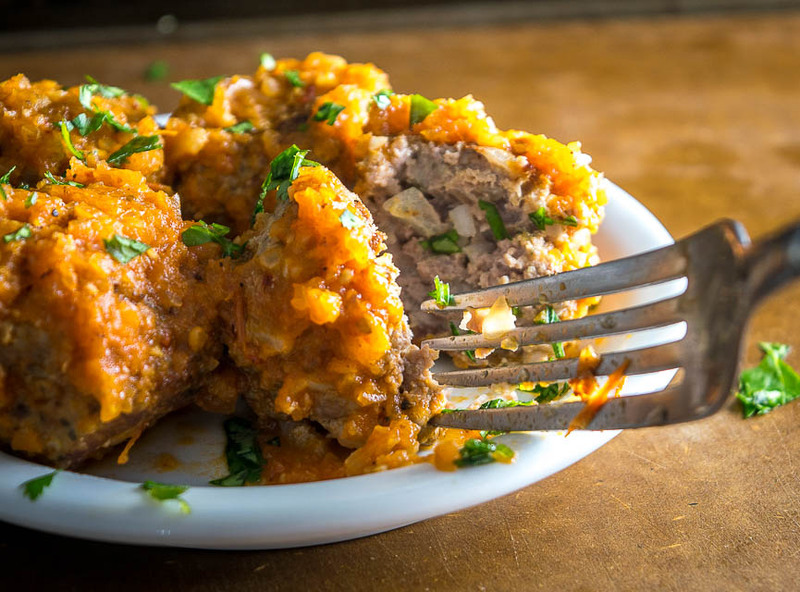 Albondigas isn’t exactly a common phrase North of the Border, but once you put a plate of these Mexican Meatballs on the table everyone will know exactly what you’re talking about. They are the very definition of comfort food, and luckily they also come with all sorts of variations you can experiment with. 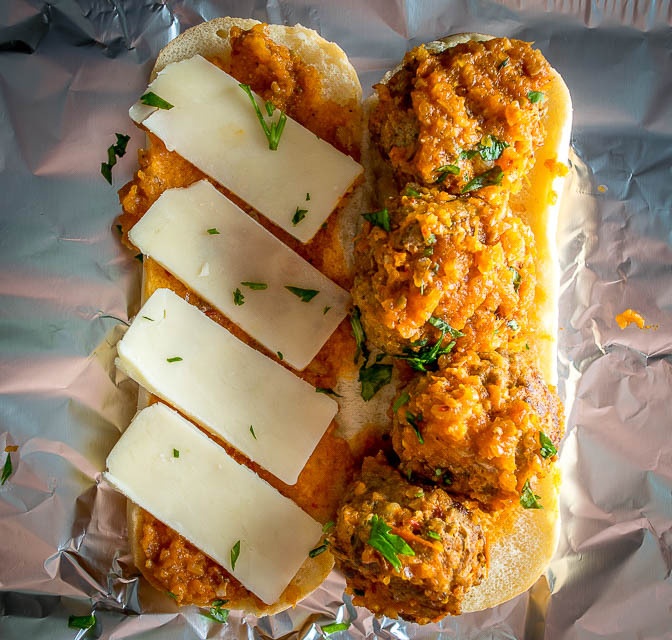 I’ll put up a few of these options over the coming weeks, but for now please consider making this traditional version that relies on fresh mint inside the meatballs. Yes, mint! The idea is to flavor the meatballs with fresh mint and then let them simmer in a sweet tomato sauce. This tomato-mint combo doesn’t make many appearances in Mexican cuisine, but it’s surprisingly refreshing so don’t let its rarity scare you off. You might recognize the tomato sauce we’re using as the base from our Tortilla Soup. I’m always amazed when a few key ingredients combine to produce yowsa flavor, and this tomato broth is a perfect example of that. It’s also greatly enhanced by using some good stock, and while you don’t have to use a homemade version, at the very least try to get your hands on some stock that you trust (I’m using some of this homemade chicken stock). As is usually the case, I start by throwing the tomatoes in a 400F oven. There’s an extended simmer coming up so it’s not crucial to roast them all the way — I usually just toss ’em in the oven and pull them out when I need them. Meanwhile, saute a roughly chopped onion and 3 whole, peeled garlic cloves in some oil over medium heat. Letting the onion saute until it starts to brown will sweeten up the sauce a bit. 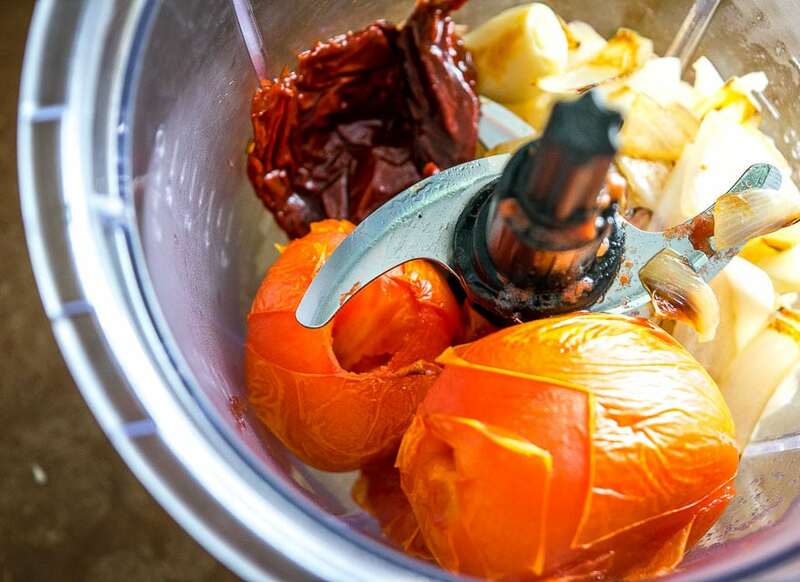 Add the onion and garlic to a blender along with the roasted tomatoes. If you want a spicy tomato broth you can add some chipotles to it, as seen in the above pic. But this is one of those rare occurrences where I sometimes leave out the chipotles (what?!!). It’s like…when the meatballs are seasoned properly they really don’t need much else. A light, vibrant tomato sauce can do the job quite well. But of course, if you want a spicy version that will work too — 3 chipotles is a good amount if you want to fire it up. Okay combine this sauce well in the blender and set aside until you need it. Now it’s time to make the meatballs. Got your mint handy? You’ll need about 1/2 cup chopped mint leaves for this recipe — that will roughly translate to using the leaves of 8-10 sprigs. Adding in some cooked rice helps hold them together, but you could always use bread crumbs for a similar effect. If you don’t have cooked rice on hand you can get away with using partially cooked rice because of the extended simmer coming up. Simply add some rice to a saucepan along with double the amount of water and boil for a few minutes (be sure to drain before using). Some peeps will even use uncooked rice in the meatballs but that sounds kinda crazy to me. And keep in mind that you can vary the meat ratio as you see fit, with ground turkey being a viable option too. 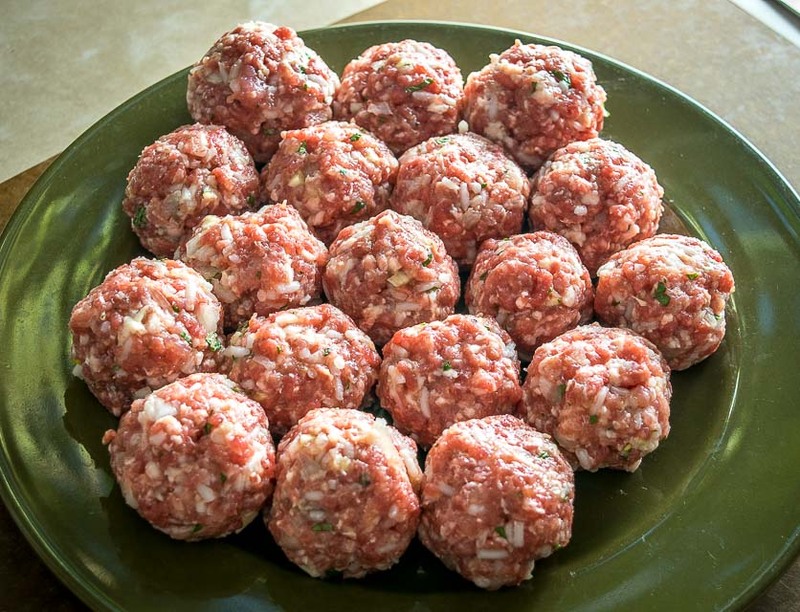 Combine the mixture well and use your hands to form meatballs that are approximately an inch wide. 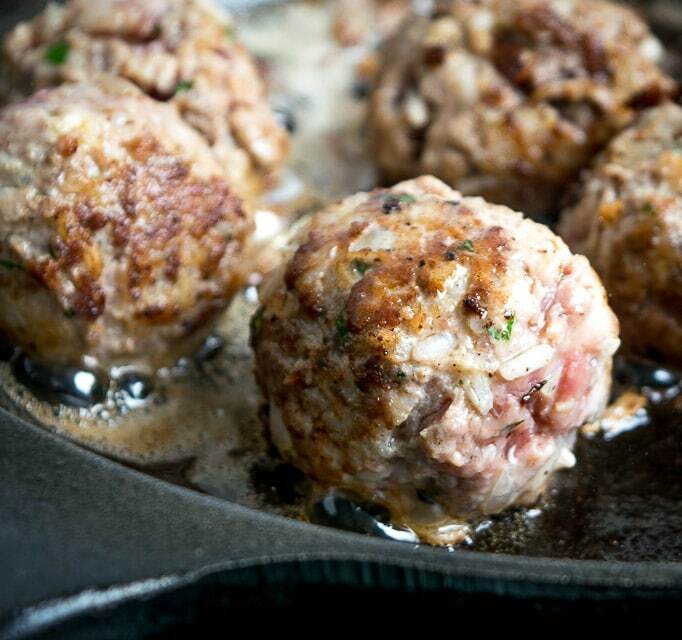 And now congratulate yourself for adding Albondigas to your kitchen repertoire (and to your vocabulary). Keeping your hands wet will help if the mixture is too sticky to roll them. This batch made 18 albondiglicious meatballs. I’m in the habit of storing half of these in the fridge, so we’re only going to cook half of them today. And regarding the tomato sauce…the recipe box below will list ingredient amounts to simmer approx. 9-10 meatballs. If you want to cook all of the meatballs simply double the tomato sauce. I usually brown the meatballs before simmering them but you can consider this an optional step. Simply add a thin layer of oil to a pan on mediumish heat and give ’em a roll. You don’t need to cook them all the way — just a few minutes to slightly char the outsides. Keep an eye on them as you’ll probably need to turn them regularly to prevent sticking. This batch was in the pan for about 4-5 minutes. Now it’s time to finish building the sauce. Add the tomato mixture to a dollop of oil over medium heat. Let it simmer for a few minutes until it reduces down a bit. Combine well and bring everything up to a uniform temperature. Add the meatballs and let simmer, covered, for approximately 15 minutes. Cook until the internal temperature of the meat is approximately 160F. That was just under 15 minutes for this batch. 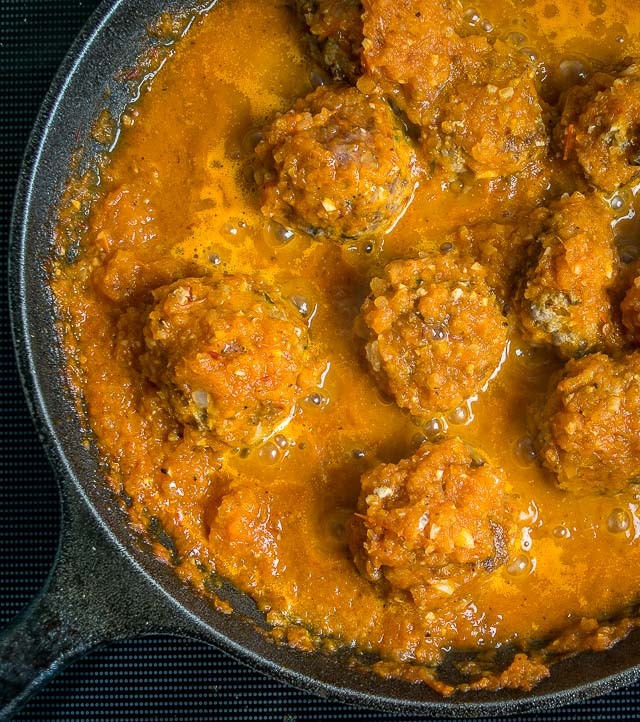 If you want to skip the browning step you can add the raw meatballs directly to the sauce and simmer for approximately 30-40 minutes. I would probably add a bit more stock for an extended simmer. Once cooked it’s chowtime as they are best eaten right out of the pan and drenched in tomato sauce. 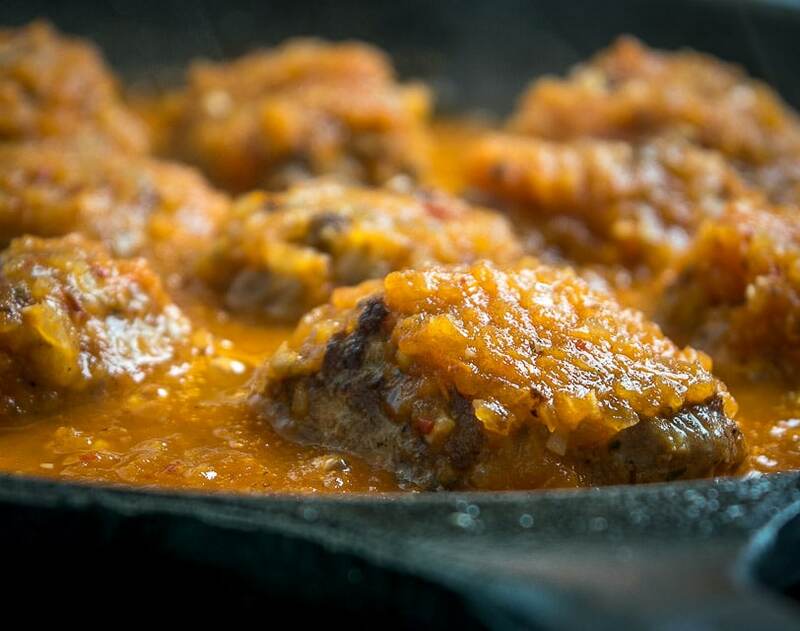 Keep in mind that these Albondigas are at their best when properly seasoned. 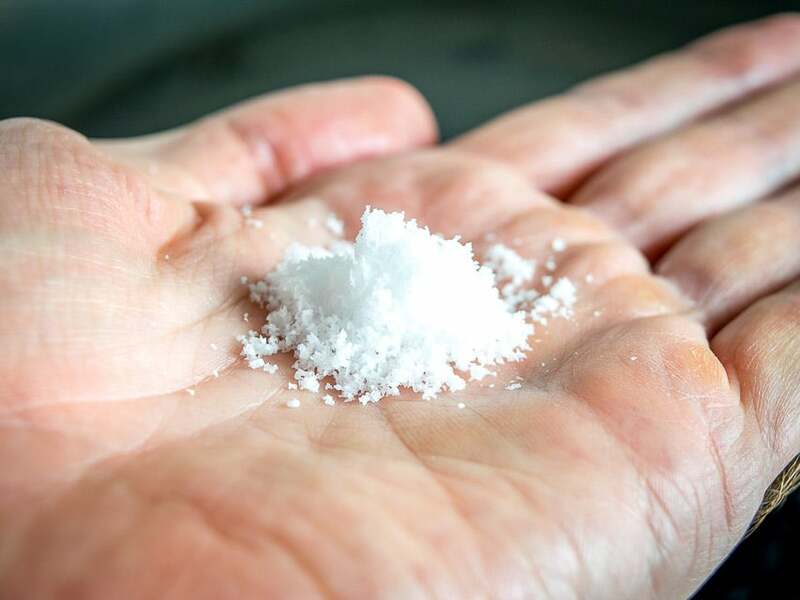 They seem to be hyper-sensitive to salt amount, so definitely take a final taste for salt level and add more if necessary. 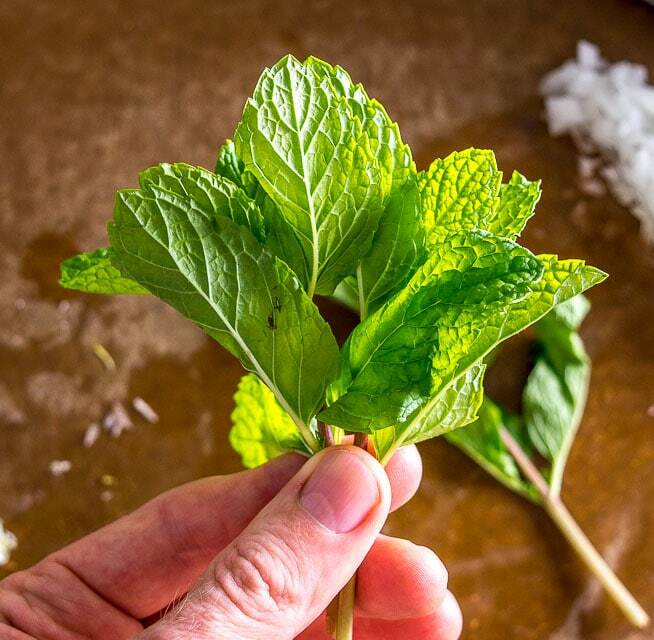 The mint gives them such a refreshing flavor and will have your family gobbling them up! You really don’t need much else to turn these into a meal. You can serve them as is or with some warm, cheesy corn tortillas. And of course if you want to turn them into a sandwich I will be the last person on Earth to stop you. Okay let me know if you have any questions about these Albondigas. They are a great dish to add to your repertoire and once you’re familiar with the tomato sauce the process can go surprisingly fast. Keep in mind that the tomato sauce listed in the recipe box is enough for half of the meatballs. I usually store the other half in an airtight container in the fridge and cook them off sometime over the next few days. If you want to cook off the whole batch simply double the tomato sauce. Scroll down for the recipe box, and feel free to use the comments section below if you have questions or want to leave feedback on this recipe. For up-to-date recipes follow us on Facebook, Pinterest, or Instagram. 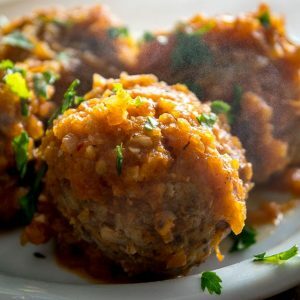 Here's a great recipe for some Albondigas -- Mexican Meatballs simmered in a delicious tomato sauce. Fresh mint inside the meatballs really livens them up! Note: this batch made 18 meatballs but I only cooked off half of them, storing the other half in the fridge. So the ingredients amounts listed for the tomato sauce are enough for 9-10 meatballs. If you're cooking off the entire batch of meatballs simply double the ingredient amounts for the tomato sauce. 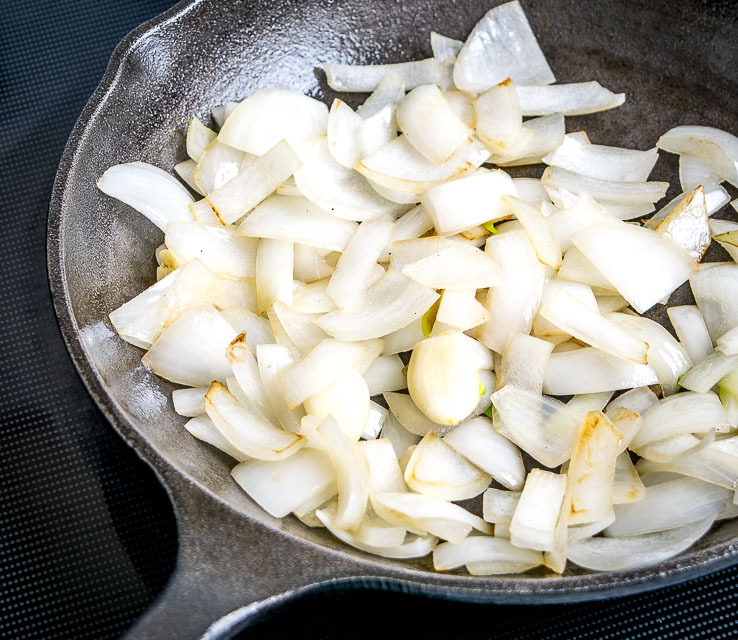 Saute a roughly chopped onion and 3 whole, peeled garlic cloves in a dollop of oil over medium heat. Cook until the onion is starting to brown. You'll need 1/2 cup chopped mint for the meatballs. Pull the leaves off of 8-10 mint sprigs. Rinse and finely chop them. Add the mint to a large mixing bowl along with 1 lb. ground beef, 1/2 lb. 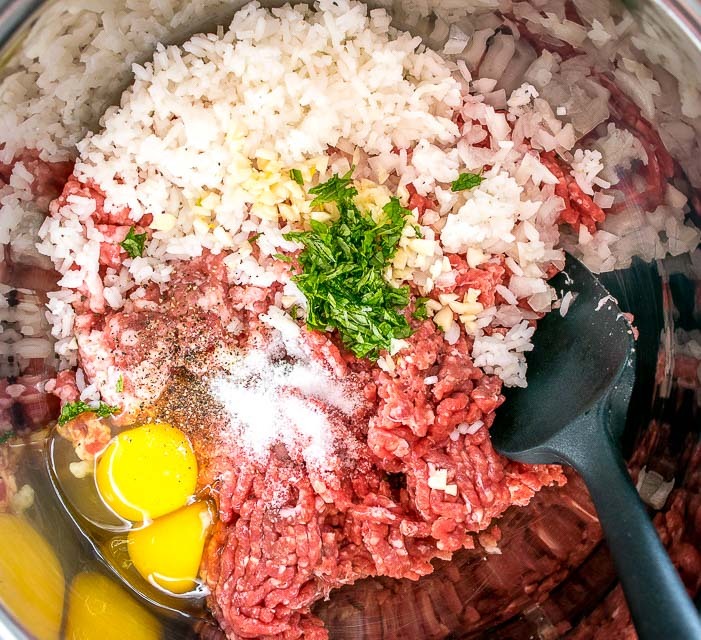 ground pork, 2 eggs, 1/4 onion (finely chopped), 3 minced garlic cloves, 2 teaspoons salt, freshly cracked black pepper, and 1/2 cup of cooked white rice. Combine well and then use your hands to form meatballs that are approximately 1 inch wide. Keeping your hands wet will help if the mixture is sticky. I usually brown the meatballs first but this is an optional step. You can always add them directly to the tomato sauce knowing they will need a longer simmer. To brown them, heat up a thin layer of oil in a skillet over medium heat. Add the meatballs and turn them regularly to give them a char on all sides. This batch was in the pan for 4-5 minutes. 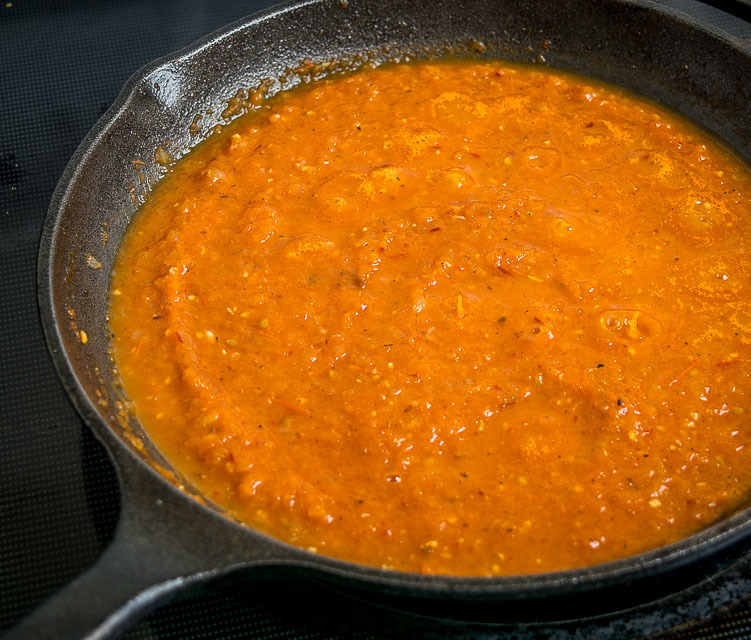 To finish the tomato sauce, heat up a dollop of oil in a saucepan over medium heat. Add the blended tomato mixture and simmer for a few minutes until it reduces down a bit. Add 1-2 cups of stock, 1/2 teaspoon of salt, and 1/2 teaspoon Mexican oregano (optional). Simmer for a few minutes until everything is at a uniform temperature. Add the meatballs to the tomato mixture and simmer, covered, until the internal temperature of the meatballs is approx. 160F. That took 15 minutes for this batch. It will take approx. 30-40 minutes if you skip the browning step. 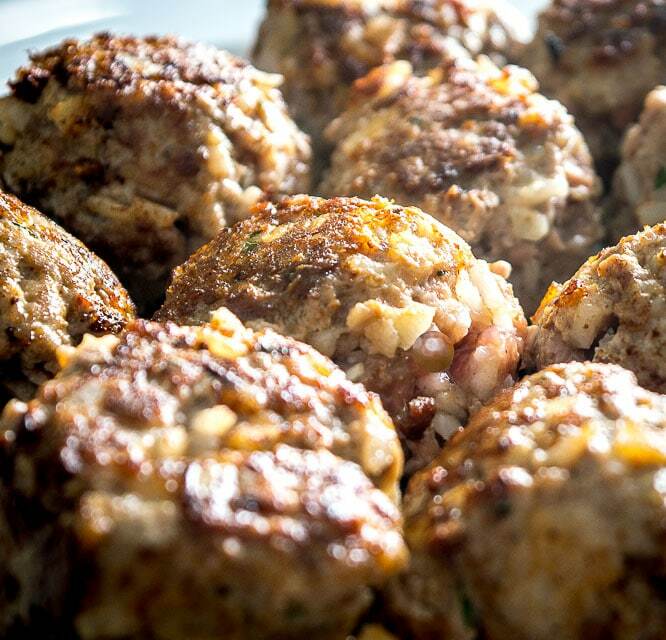 Take a final taste for seasoning as these meatballs are hyper-sensitive to salt amount, adding more salt if necessary. 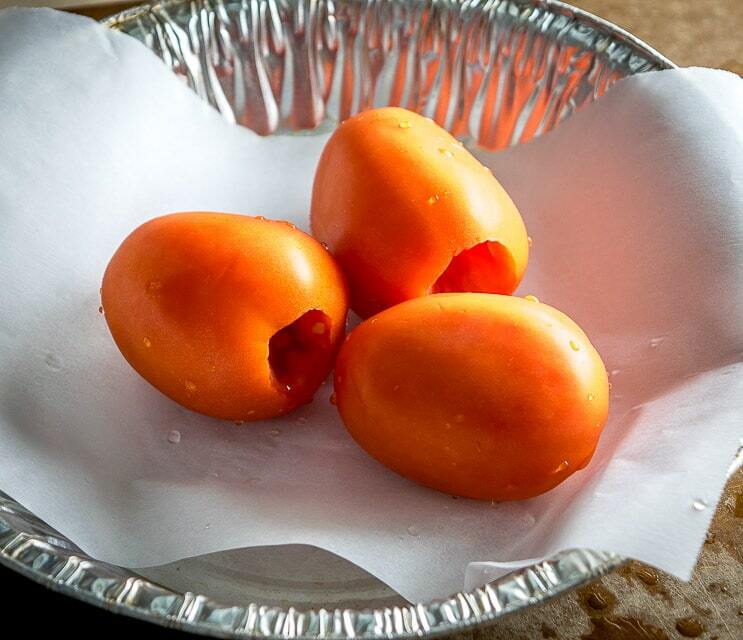 Serve immediately with plenty of the tomato sauce covering them. If you don't have cooked rice on hand you can get away with using partially cooked rice and it will finish cooking during the simmer. Simply add some rice to a saucepan along with double the amount of water and boil for a few minutes, then drain before using. I usually brown the meatballs before adding them to the tomato sauce, but this is optional. You can add the raw meatballs directly to the tomato sauce if you want, they will need about 30-40 minutes to fully cook. 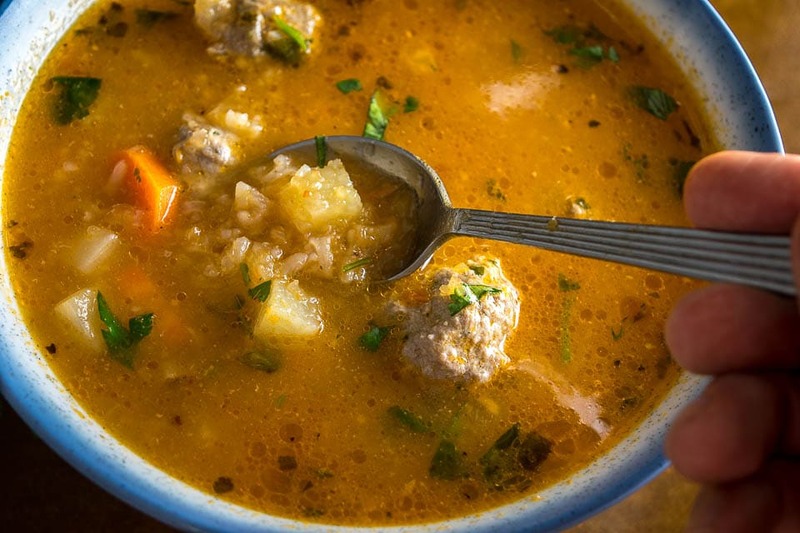 Here’s the recipe for our Albondigas Soup. 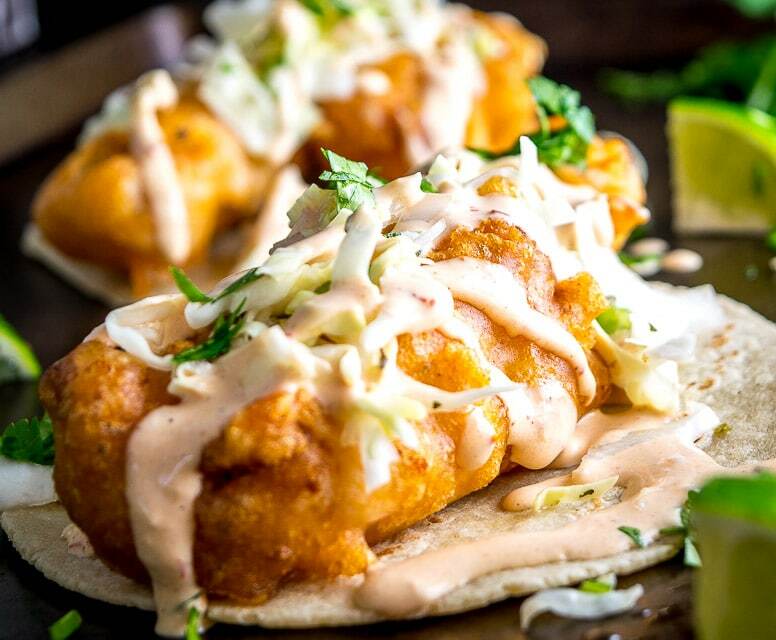 You might also like our Baja Fish Tacos. Our latest post is on the Art of Seasoning Food. I’m blessed to live in southern Arizona where we find albondigas soup on almost every menu in town. I’ve never seen them served in a yummy tomato sauce though. Thanks for the delicious recipe! Ha thanks for your note Laura! Clearly I project my Midwest upbringing onto everyone else and assume they’ve never heard of Albondigas — but would love to regularly find Albondigas Soup on the menus in town!! Delicious as usual Patrick, if this were baseball you’ve hit another one out of the park. How about the soup version? Chicken or beef stock base with carrots, corn on the cob cut into 3rds.. wedges of lime.. some dried oregano sprinkled on top, oh my. Warm corn tortillas.. I think it’s time for lunch. Thanks John glad you are enjoying the Albondigas! Ha clearly you can see my recipe to-do list. Albondigas Soup is on the way — still fiddling with it a little bit but I hope to have it up sometime over the coming month. Cheers. This looks amazing and can’t wait to try it out! Love, love your recipes! Thank you thank you! I hope they treat you well. And here I was, feeling like cooking Mexican but wondering what the heck I was going to do with the monster mint plant I grew! Perfect timing, sounds delicious. I’m in! Oh wow would love to have a monster mint plant on hand for these meatballs. Enjoy! Hi! I just want to say, your recipes for Mexican dishes are the most authentic and to the point recipes I’ve ever seen, I’m Korean, but my husband was Mexican, and I learned how to cook, everything and your recipes are exactly what I know Mexican food should be, I’ve read many recipes straight from Mexican woman and with all that yours topped them off. Thank you for your authenticity, as I carryon the good cooking skills in memory of my deceased husband. RIP David Carranza your missed. Thanks so much for your touching note Sandra — I’m so glad you are finding some keeper recipes on the site and it’s good to know that they feel familiar to you. Thanks much for getting in touch. Cheers. Hi Dolores thanks much for your note! I know, I was kinda shocked the first time I had Albondigas with mint inside but now I’m a convert! I hope you find some keeper recipes on the site. Cheers.